This is an opportunity available to people of all abilities in experience being out on the water in a kayak regardless of physical and/or cognitive ability. Our kayaks have many adaptations available that make it possible for people with limited mobility to maneuver themselves out on the lake. 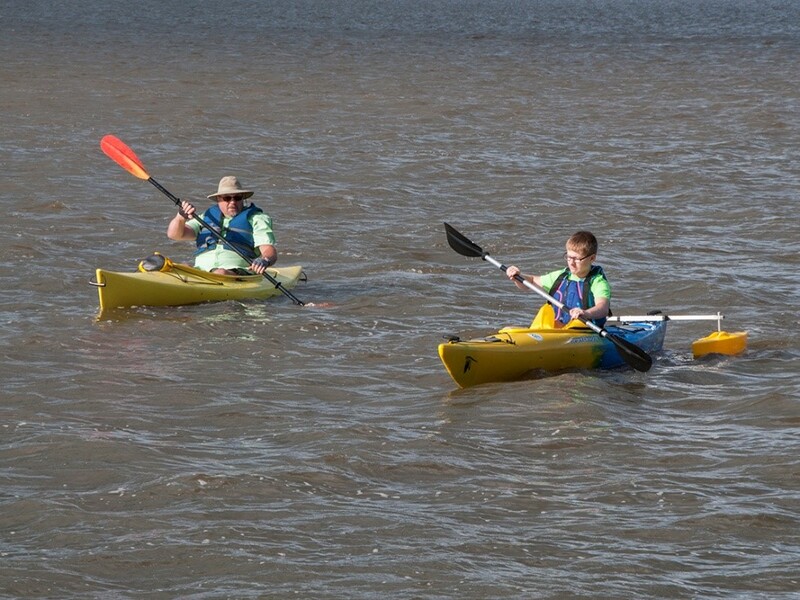 The adaptations also make entering and exiting the kayak attainable for those that have challenges normally in doing so. 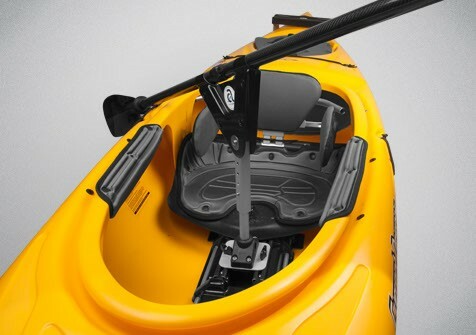 Kayakers will not need to fear tipping as the kayaks have added side supports to prevent this. Here are some examples of challenges participants have that have been able to kayak with the help of our adaptive kayaks and assistance of our volunteers: spinal cord injuries, amputations, spina bifida, visual impairment, strokes, muscular dystrophy, shoulder problems, cognitive challenges, and many more! The only requirement is the ability to hold up one’s head, maintain airway control, and be able to do a back float with a life-preserver on. 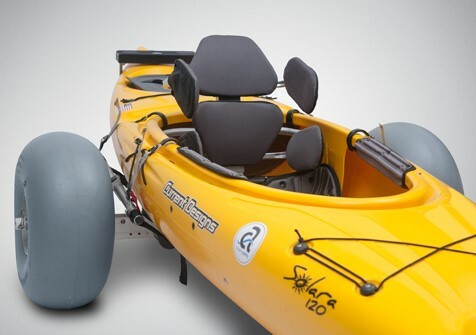 Participants also need to be able to fit in the kayak and be within the weight limit. Adaptive kayaking occurs during the summer months, every Thursday at 6 pm and every Sunday at 4 pm, on Lake Neshonoc in West Salem, WI. The lake has no current, and there is very minimal boat traffic creating the perfect environment for our adaptive kayakers. There will be volunteers participating to ensure safety on the water. Families are also encouraged to participate as this is an inclusive event, and there are often extra kayaks and tandem kayaks available! To sign up, follow this link to the sign-up genius where you can reserve your spot in a kayak! On the day of kayaking participants should wear shorts, a t-shirt, and tennis shoes or stable sandals. All safety equipment is provided for participants! Also, don’t forget to dress for the weather! Sunscreen, hats, sunglasses, or sweatshirts are sometimes needed to stay comfortable with the unpredictable Wisconsin weather! If there is weather that doesn’t allow us to be safe on the water, the kayak event will be canceled. Participants will be notified via text message an hour before the event is scheduled to start! Here are some of the adaptions on our kayaks! These are stabilizers attached to the rear of the kayak to prevent tipping and increase stability. The seating provides added truncal support and balance. There are many paddle adaptions including light weight paddles of less strength, various hand grips, and pivot paddles to accommodate shoulder issues. 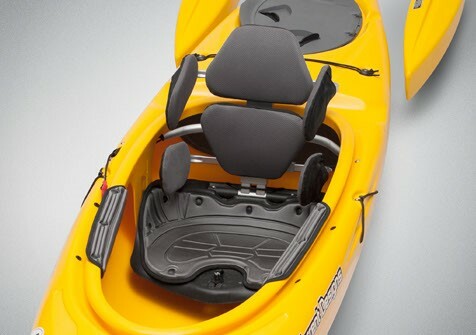 There is a transfer system in place to allow accessibility for someone in a wheel chair to easily transfer from the chair to the kayak. The transfer takes place on land, and volunteers will help guide the kayak into the water. For additional information contact one of our adaptive kayaking coordinators! Contact our adaptive kayak coordinators with specific questions about our kayaks adaptions and to learn more about how you can kayak with any level of ability. 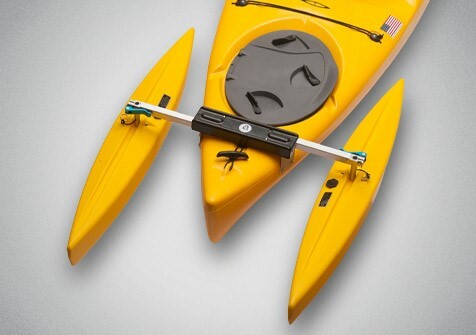 Also check out https://www.creatingability.com to learn more about the specific adaptions to the kayaks and see more pictures of the equipment.